When I asked for kid-friendly ski recommendations, Stapleton Moms overwhelmingly said, "Go to Keystone!" You were right. Here's why. 1. Ski School is fun and kids learn a lot. My 5 year old progressed quickly at Keystone's Ski & Ride School. With several base locations to choose from, it's flexible and convenient. We were at River Run, so he got to ride the gondola up to ski school - which went a long way in the "I'm doing it! "confidence category. 2. If you're serious about learning, Keystone Kroozers is the most cost effective way to go. A single day of Ski School will run you $153, plus $12 for the lift ticket, plus $26 if you rent through the school. 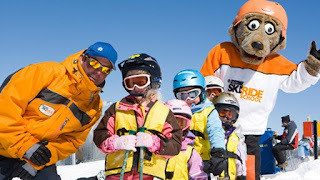 Keystone Kroozers is a 3-week program: 3 Saturdays in a row, with the same instructor and the same group of kids. You get a discounted price of $310. But make sure you sign up in plenty of time - there's a $100 late fee when booked within 14 days of sessions - and you need a lift ticket, too. 3. Lessons aren't just for kids. My husband and I hadn't been on skis in 7 years. We needed a refresher course! On a Thursday, we got an instructor all to ourselves. With 19 years experience, she quickly assessed our skill levels and what we could improve on. More importantly, she could speak to my husband in his language, and me in mine. My husband could follow verbal instructions: "Trust your right leg to make that turn, use your inside toe to turn." (Huh?) For me, she figured out I needed to watch and imitate her, and learn it by doing. If it's been a while, a refresher lesson is well worth the money. 5. Good lodging deals. There's plenty of affordable slope side lodging in Keystone. Got your kids in Camp Keystone (Kroozers or Explorers)? Stay at Mountain House. Want to be near the shops and restaurants in the village? Stay at River Run or Keystone Lodge. Most have pools, kitchens and other kid friendly amenities. Get over to Keystone's site to see if you can grab a lodging + lift ticket deal! 6. The Sleigh Ride Dinner will transport you to another world. We loved every minute of it. I can't recommend it highly enough. 7. Tubing. Good for 5 and above (My 5 year old found it a little scary - but he went twice!) Get ready to laugh till it hurts. Sorry, kids under 48" can't go. 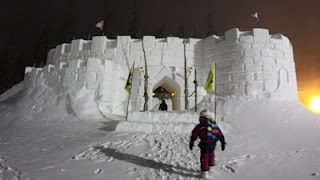 I was looking for blogs about things to do around the Mountain House area to share on our site and I came across your post...If you're open to it, shoot me an email at jane(at)dwellable(dot)com.